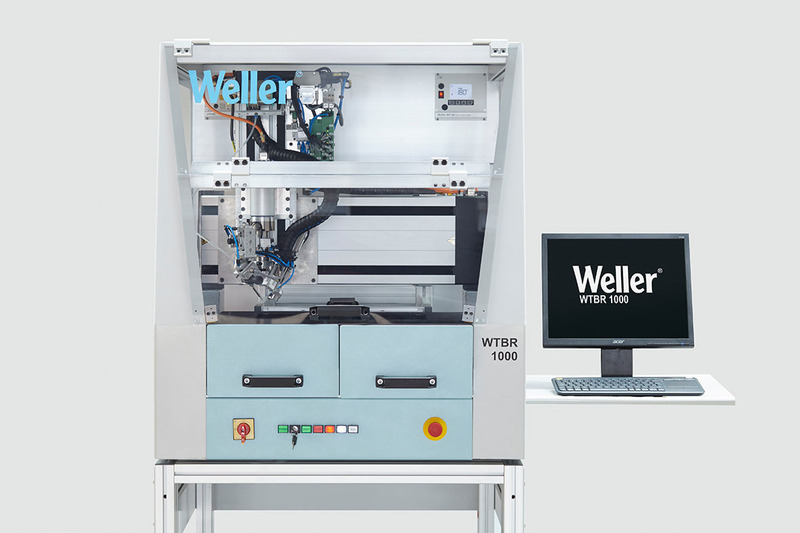 The WTBR 1000 is equipped with Weller‘s high per­for­mance Tech­nol­ogy Line sol­der­ing tools, en­sur­ing con­sis­tent qual­ity of sol­der joints. 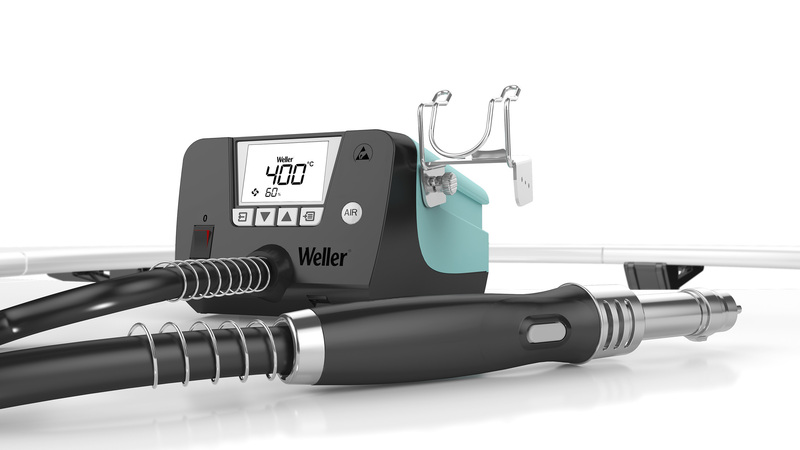 The sol­der feeder is de­signed to be in close prox­im­ity to the work­piece (PCB), pulling the wire rather than push­ing it through the feeder tube. The ro­bust and sturdy con­struc­tion en­sures that no sud­den move­ments or vi­bra­tions neg­a­tively af­fect the work­piece, the com­po­nents or the tools. A dou­ble drawer sys­tem al­lows con­tin­u­ous pro­duc­tion thereby pro­vid­ing much higher process through­put, im­prov­ing pro­duc­tiv­ity and of­fer­ing flex­i­bil­ity. 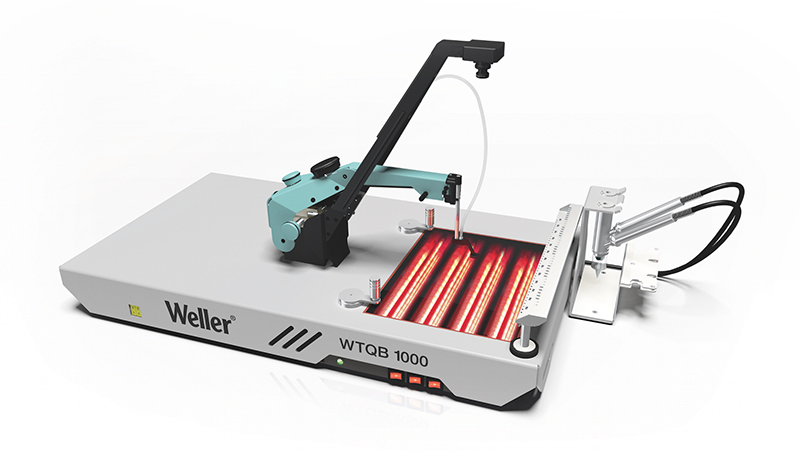 The WTBR 1000 al­lows up to 50% cost sav­ing ver­sus hand sol­der­ing. 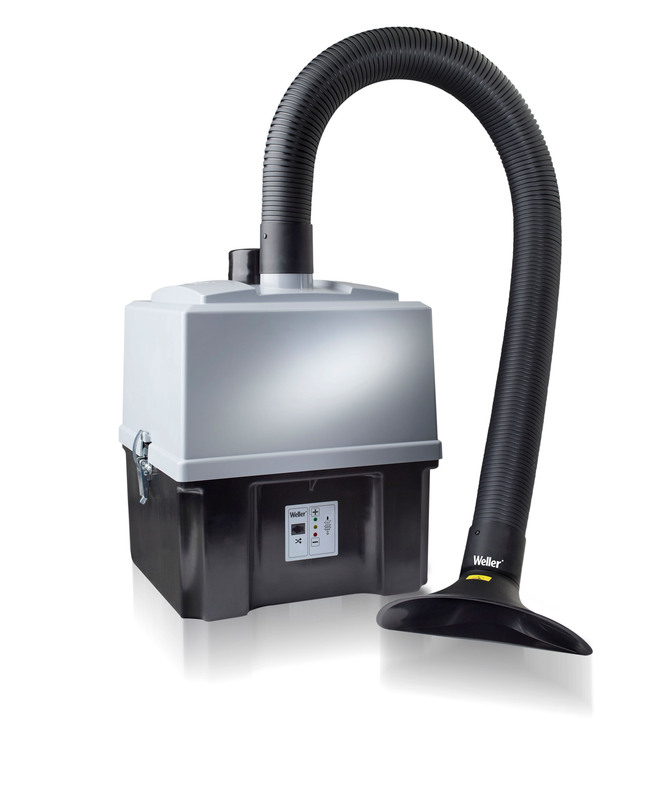 Being a fully-en­closed sys­tem, with in­te­grated fume ex­trac­tion, the WTBR 1000 Bench­top Robot al­lows our cus­tomers to achieve the high­est level of safety: pro­tect­ing the op­er­a­tor, the work­piece (PCB) and the ma­chine. The fully-en­closed sys­tem pro­vides a com­plete and CE-com­pli­ant so­lu­tion to the cus­tomer.